Despite Calvary, Satan still believes that he is going to take the day. In fact, his greatest thrust — his greatest effort — is just ahead. 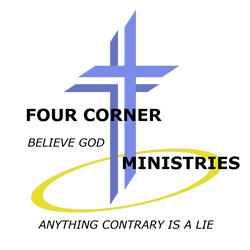 Many people ask the question, “Cannot Satan read the Bible, which tells of his utter defeat?” Of course, he can; however, he is so self-deceived that he does not believe the Bible. Despite Calvary, Satan still believes that he is going to take the day. In fact, his greatest thrust — his greatest effort — is just ahead. He will empower the Antichrist as he has empowered no other man in human history. • “Beast” (Rev 13:1 KJV). • “Antichrist” (1 John 2:18 KJV). • “Gog” (Ezek 39:1 KJV). • “That Wicked” (2 Thess 2:8 KJV). 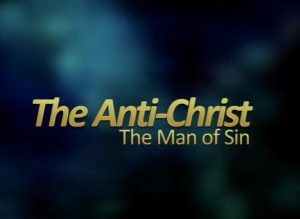 • “That Man of Sin” (2 Thess 2:3 KJV). As to whom he is, the Bible doesn’t say. I think it is obvious, however, that he will have to be a Jew. The Jews would in no way accept a Gentile as their proposed Messiah. They will accept this man, claiming him to be their Messiah, which means that he has to be Jewish. Considering that Jews are scattered all over the world, this means that he could come from any number of places. The Jews are a peculiar people. Having been out of the will of God for more than 2,000 years, it has taken a deadly toll on them and their nature. In this country of America, some few Jews are conservative, but most are liberal, even extremely liberal. If I remember correctly, the year was 1987. I was asked to speak at a Jewish symposium in Washington, D.C. Influential Jews would be present from all over America. Benjamin Netanyahu was the other speaker. He was not prime minister of Israel then, with such coming a little later. After the session was over, I had the opportunity to meet the man who is now the prime minister of Israel. I recall almost nothing about the meeting, but I do remember that when I walked away, I sensed in my spirit that this man was going to play a great part in the future of Israel. At any rate, I had been asked previously to meet with the Jewish liaison to Congress after the meeting was ended. I spent nearly two hours with the man. He mentioned to me that he did not understand how that President Reagan, whom most Jews did not support, had turned out to be one of the greatest friends, if not the greatest friend, that the nation of Israel ever had. Thinking that all conservatives were opposed to Israel, he asked me how this could be. I explained to him that the Christian movement in America was mostly conservative, but yet, loved Israel very, very much. I went on to tell him how that I felt that President Reagan personally had positive feelings toward Israel, but, as well, he was, no doubt, helped along, as it regarded Israel, by the hundreds of thousands of born-again believers in this nation. So, from that conversation, it is easy for me to see how that Israel can accept a Jew from almost anywhere, assuming that he meets with their approval. There is some biblical indication that the Man of Sin will be a Syrian Jew (Dan 11:40 KJV). However, we must understand that the country of origin of the “king of the north,” who will be the Antichrist, includes modern Syria, Lebanon, and Iraq. Actually, Iran, Afghanistan, and even some of modern Pakistan were also included in the old Syrian division of the Grecian Empire. However, some say they are not to be included because they were not a part of the old Roman Empire territory from which the 10 horns came up (Dan 7:7 KJV). Possibly, that is true, but not necessarily so. Some claim that the Antichrist will be a reincarnation of Judas, while others claim that he will be a reincarnation of Alexander the Great, etc. There is nothing biblical that supports a reincarnation of anyone. 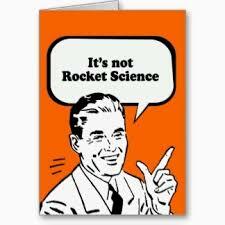 As we have already stated, Israel, and especially Jerusalem, is the flash point of the world at this time. Surrounded by more than 100 million Muslims, who swear her destruction, she occupies a very precarious position. And then, her greatest benefactor of all, the United States, is weakening in its resolve toward her. In fact, the Obama Administration is not only not favorable toward Israel but, if the truth be known, actively opposes her. Since the administration of Jimmy Carter, the brightest minds have tried to solve the thorny problem of Israel and the Palestinians. Most of the world thinks that the problem is that Israel will not give land to the Palestinians in order that they might form a nation. Nothing could be further from the truth! 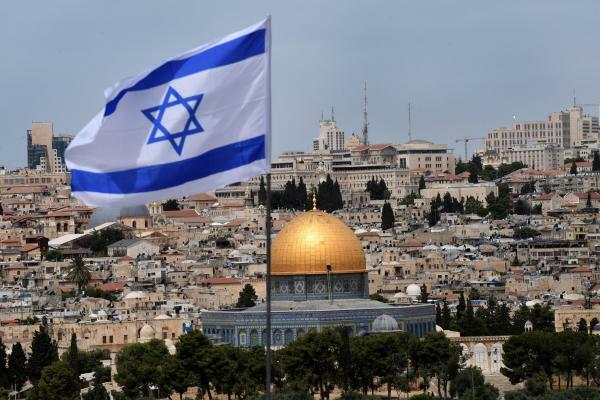 As Arafat once said, “We will win out over Israel by the means of peace — piece by piece.” The truth is, the Muslim world demands the entirety of the nation of Israel, with Jerusalem as their capital and the country then named Palestine. As well, they want every Jew dead. It must be remembered that every war between Israel and the surrounding Arab countries such as Egypt and Syria has always been instigated by the Muslims. Israel did not start any of these wars, and yet, they have won every war and then allowed the Palestinians to remain in Israel. If the situation was reversed, and the Muslims had their way, meaning they had won any one of these wars, they would have slaughtered every single Jew. However, the world doesn’t see that because they don’t want to see that. In fact, the world as a whole wouldn’t care if Ahmadinejad was able to secure for himself an atomic bomb and then would use it on Israel. The only friend in the world that Israel has presently is Canada and what is left of the friendship of America. So, the brightest minds in America, as already stated, from the time of Jimmy Carter, have tried to solve this thorny problem between Israel and the Palestinians, but with no success. President Bush bragged to the world that before he left office, there would be a peace treaty between Israel and the Palestinians. It did not happen! Actually, there is no such thing as Palestinians. The name is derived from the ancient Philistines, and, to be sure, there are no Philistines remaining. The people in Israel, who refer to themselves as Palestinians, are actually Jordanians, Syrians, Egyptians, etc. Sometime back, I had the opportunity to hear a most interesting interview with Clark Clifford, who had been an advisor to every democratic president from Harry Truman all the way to Jimmy Carter. Consequently, he had witnessed so much of modern-day history. As far as I know, this was the last interview that he gave before he died. As the interview began, it was announced by the host that they would discuss this man’s life, and considering his experience, it promised to be a very eye-opening interview, which it was. However, despite what the opening remarks were, the entire hour was spent discussing Israel and it becoming a state in 1948. Mr. Clifford stated how that he was the youngest advisor to President Truman. He went on to state that due to his youthfulness, he had so little place and position that his advice was little sought at that time. While he was present at all the Cabinet meetings, still, it was almost nothing but look and listen. Mr. Clifford talked about the great struggle in the mind of President Truman as it regarded the formation of the state of Israel. There were arguments about everything. One of the president’s closest friends, George Marshall, even suggested that America purchase a small country in Central America and give that to the Jews. It must be understood that at that particular time, with World War II having just ended, America, plus many other nations, had a guilty conscience as it regarded the Jews. Hitler had slaughtered more than 6 million of these people, and it seems that very little had been done to try to stop the slaughter. There were others who claimed that wherever a state for these ancient people was made possible, it should be named something other than Israel. 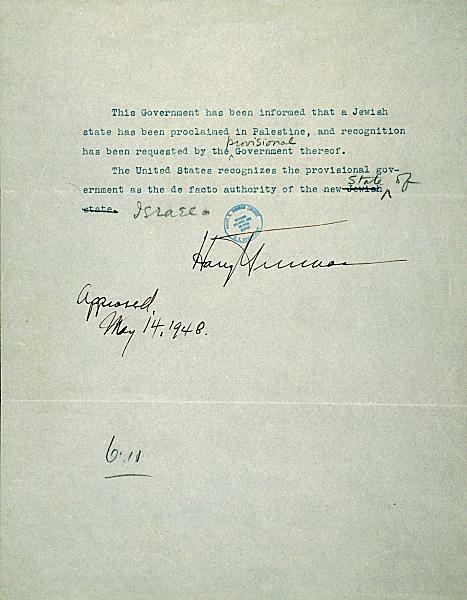 President Truman’s closest friend was George Marshall, and Marshall was vehemently opposed to the formation of the state of Israel. So, the argument flew back and forth. In answer to the questions posed by the host, Clifford stated that he felt very strongly about Israel becoming a state, how that state must be in the same boundaries as in the Bible, and the state must be named “Israel.” He was asked why he felt that way; was he Jewish? “No,” he answered, “I’m not Jewish.” He remarked as to how he did not understand why he felt as he did but in his thinking, but he felt he had to somehow get his views to the president. So, he wrote a letter. He stated that he couldn’t get an audience with the president, so, assured that the letter would be delivered to the Oval Office, he put down on paper that which he felt about Israel. The next morning, he was there as he had been called. He stated how that he walked into the Oval Office and stood before the desk of the president. President Truman was looking down at a letter on his desk and after a few moments, Mr. Clifford recognized it as his letter. The question threw him, he went on to say. He had no time to think up an answer. Why did he feel as strongly as he did? He went on to say that he had no idea if his letter had anything to do with the president’s decision, but he did feel that if he had any influence at all on the president, this was one of the greatest things that he accomplished in his many years of serving as advisor to a number of democratic presidents. In fact, shortly before President Truman died, he was taking his customary walk, which he did every morning. That particular morning, a reporter was with him. He was going to write an article on the president, and he was doing all he could to get some information. He was speaking with the man who had given the orders to drop two atomic bombs on Japan, which ended World War II. This was the man, as well, who had instigated the Marshall Plan to save Western Europe from communism. The reporter was taken somewhat aback, expecting another answer. As stated, this was not long before the president passed away. Quite possibly, spiritual things were on his mind. Irrespective, his answer was absolutely correct. He had been led by the Lord to do what he did, in other words, God used him to help fulfill Bible prophecy. Nothing could be more important than that. 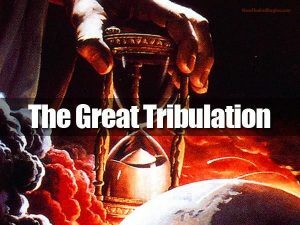 At the moment the Antichrist signs the seven-year agreement between Israel and the Muslim world, the great tribulation will begin. As we’ve already stated, he will be able to do what the brightest minds in America and elsewhere in the world have not been able to do — bring together the Israelis and the Muslims. How will he do that? As we’ve also already stated, the Man of Sin will be anointed by the powers of darkness as no other human being has ever been. In other words, Satan will invest more in this man than he has invested in any other down through the ages. This is Satan’s fell swoop, so to speak. If he doesn’t carry out his scheme now to become master of the universe, in other words, dethroning God, he will never be able to do it. This is it, the moment which he has worked toward even from the dawn of time. To be sure, Satan is self-deceived. He is so deceived that despite what he knows about God as the Creator and being all-powerful and all-knowing, still, he actually thinks that he will be able to overcome the Lord and set his throne up in the place of God. I WILL BE LIKE GOD? The Evil One has deceived himself in the same manner that he has deceived much of the world and for all time. However, the conclusion for him, and for all who have followed him, and who do follow him, will be eternal Hell, i.e., “the lake of fire” (Rev 20:10 KJV). How is it that we know this agreement, which will be signed by the Antichrist, plus Israel and the Muslims, and, no doubt, others, as well, will last for seven years? Daniel is the prophet who gave this information and did so about 2,500 years ago. The account is found in Chapter 9 of the book of Daniel. The great prophet, it seems, had been in prayer before the Lord for a period of time. At a given point, the angel Gabriel appeared to him. Daniel declared that Jerusalem has been called by God’s name and has been chosen by God. Actually, it will be the capital of His eternal kingdom on earth . “‘To make reconciliation [atonement] for iniquity,’ refers to the fact that Israel will not only accept Christ at the second coming but will also accept what He did for us at Calvary. One can well imagine this moment, for they are the ones who crucified Christ.